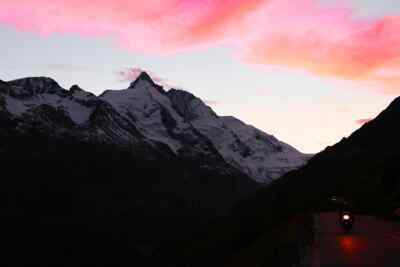 You can approach the Grossglockner in many different ways: it is the highest mountain of the Alpine Republic, one of the most striking elevations in the Eastern Alps and the summit of passion for many a mountaineer. 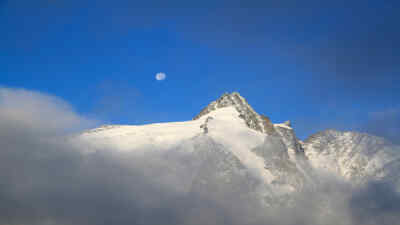 The mountain is also home to people, numerous animals and rare plants. 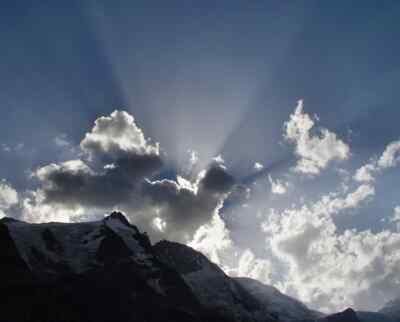 The Glockner is cloaked in secrecy, is the stuff of legend and has great attractive power. It is an obstacle on the path from north to south, yet a place where it has been overcome through the millennia. 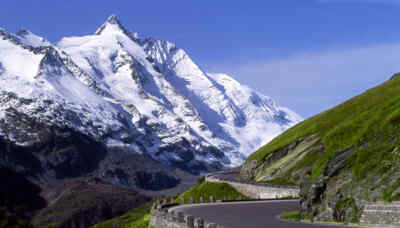 Join us and get to know his majesty, the Grossglockner, in his numerous aspects! 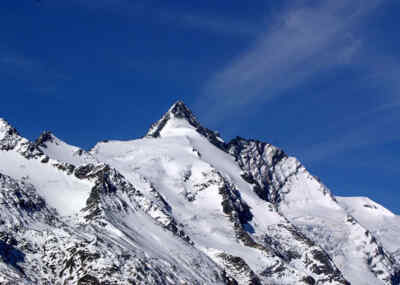 The Grossglockner towers above the 8 km Pasterze, the longest glacier in the Eastern Alps. 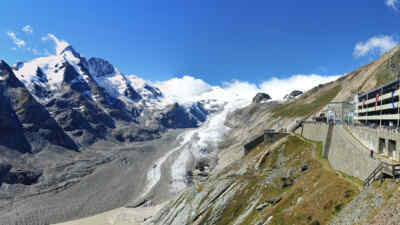 While the Pasterze saw its widest recorded spread in 1850, the glacier retreats every year nowadays. Since 2014, the glacial lobe has melted by 2.5 km. Perpetual ice isn’t rigid or steady. Long-term recordings show the flow of the ice that’s pushing across the bedrock with tremendous weight and pressure. 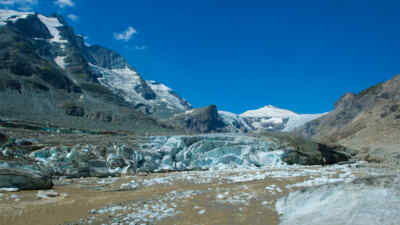 Many European landscapes were formed by glaciers during the Ice Age. Coming face-to-face with the Pasterze, you get an idea of the mighty powers that came and still come into effect. 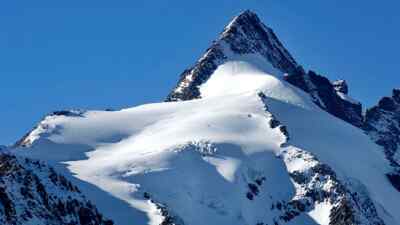 The forests, slopes, meadows and rocky regions of the Grossglockner offer a unique habitat for a plurality of animals and plants in various climes. Ibexes, chamois and marmots can be seen in great numbers. Vultures and golden eagles circle high above the summits and dips. If you look closer, you might discover the rare Mountain Apollo, whose caterpillars exclusively feed on yellow mountain saxifrage near watercourse. Farming the steep hills is a special challenges for humans. The mountain hay, which contains countless precious herbs, is troublesomely transported into the valley. The young cattle enjoys 19 weeks of easy living on the lush mountain pastures in summer. The water, which is bound high up the mountain in the ice, emerges on the hills in lower areas in the form of imposing waterfalls. Unbelievable masses of water plunge into the valley, particularly when the snow melts in spring, supplying lakes and rivers. The pure drinking water is of the highest quality, but it also fulfils other purposes. It propels water mills by rapidly flowing streams and the hefty turbines of hydropower stations. By the way, staying near a waterfall is very healthy as the great number of negative air ions stimulate the immune system and have an alleviating and healing effect on asthmatic ailments. Glockner water is therefore an elixir in many different ways! With an area of 1,800 km², Austria’s largest national park stretches across the provinces of Salzburg, Carinthia and Tyrol. It stretches for more than 100 km from east to west and over 40 km from north to south. 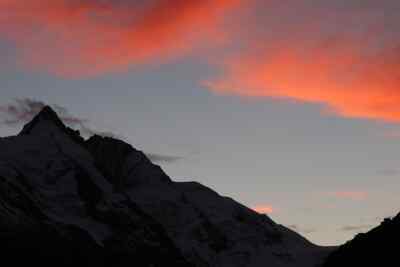 The unspoiled scenery with valleys shaped by glaciers, alpine and high alpine areas, and ample larch, spruce and stone pine forests are dominated by the Grossglockner watching over its realm like a mighty giant. 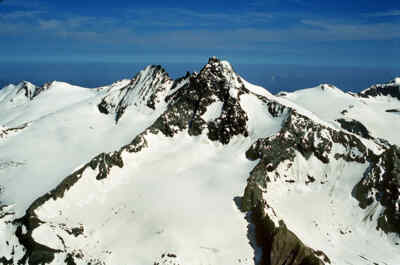 The High Tauern National Park, a habitat for rare animals and plants and a recreational and economic space for humans, was founded in 1981. Nature in its core zone is left to its own devices. The park is home to more than three hundred 3,000 metre peaks, 342 glaciers with a total area of 130 km², and has 551 mountain lakes! 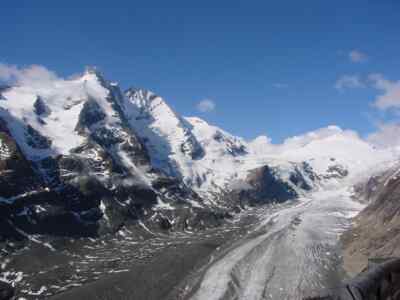 Discover the mythical mountain and the unique landscape around the Grossglockner: walk to the foot of the almighty alpine summit on the Grossglockner High Alpine Road. Check out the opening hours and road charges now!